UPDATE: The actual international trailer is live at the international official site and I have also added 11 new pictures to the gallery here. 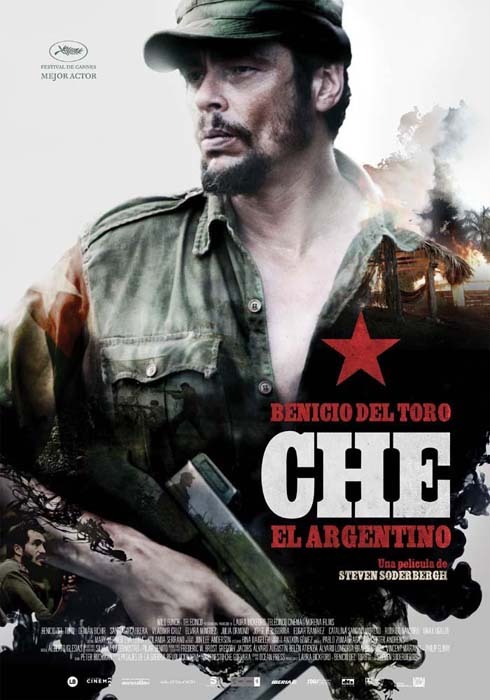 Set to be shown at the Toronto International Film Festival in September, Stephen Soderbergh’s Che will once again attempt to find distribution either as a four hour complete film or in its two parts (The Argentine and Guerilla). If the film is able to find distribution it may be able to find its way into enough theaters this year to qualify for the 2008 awards season, but it is going to be a close call. Benicio del Toro stands to potentially gain a Best Actor nomination for his portrayal of Argentine revolutionary Ernesto ‘Che’ Guevara as he travels to New York City to address the United Nations and director/co-writer Steven Soderbergh gains to add a few noms to his belt as well.